Botswana dazzles with its unique mix of pristine and untouched nature and unbelievably beautiful landscapes. For safari lovers and nature enthusiast, Botswana is the perfect travel destination. Safaris in Botswana are unique and diverse. Due to the rather upscale pricing policy, Botswana has far less visitors compared to other countries in Southern Africa. This makes it a very special and exclusive safari destination. The following highlights can be expected from a Safari in Botswana. This 9-day exclusive fly-in safari takes you to the Okavango Delta, the edge of the Moremi Game Reserve and then to the Chobe National Park before it ends at the spectacular Victoria Falls. On this trip you will explore the fascinating Okavango Delta and travel through some of the best wilderness areas of Botswana to finally reach the Victoria Falls in Livingstone. This adventure safari is perfect for those who wish to visit the best wilderness areas of Botswana. Starting in Maun and ending in Livingstone, Zambia it offers great value for money. This safari covers some of the best wilderness areas of Botswana including the Nxai Pan National Park, Okavango Delta, Moremi Game Reserve and Chobe National Park. The world’s largest inland delta is home to an abundance of wild and birdlife. The delta is fed by the Okavango River that originates in Angola’s highlands and once the water has reached the Okavango swamps, it evaporates and seeps away. Visitors can explore the channels of the delta by mokoro or go on a walking safari on one of the many islands. At 10 698 km² the Chobe National Park is known as one of the most varied and beautiful sanctuaries in Southern Africa. The concentration of wildlife, bird and reptiles on the banks of the Chobe river is a photpgrapher’s dream. As part of the Chobe National Park this area is famous for its predators. Nowhere else in Botswana do you have better changes of spotting lions, leopards, cheetahs and especially the rare African wild dog. This reserve is situated in the Okavango Delta. Visitors can look forward to seeing a great selection of wildlife including many elephants, buffaloes, leopards, wild dogs and hippos throughout the year. The beautiful area is one of the largest nature sanctuaries in the world with its semi-desert landscapes. Its remote location makes it a truly unique destination to visit. The rock engravings of Tsodilo Hills are a UNESCO world heritage site and are worth a visit. These national parks are especially worthwhile visiting during the rainy season from November to April. Many different species of antelopes are attracted by the rain and the lush grass. The best time for a holiday in Botswana depends on the visitor’s requirements. 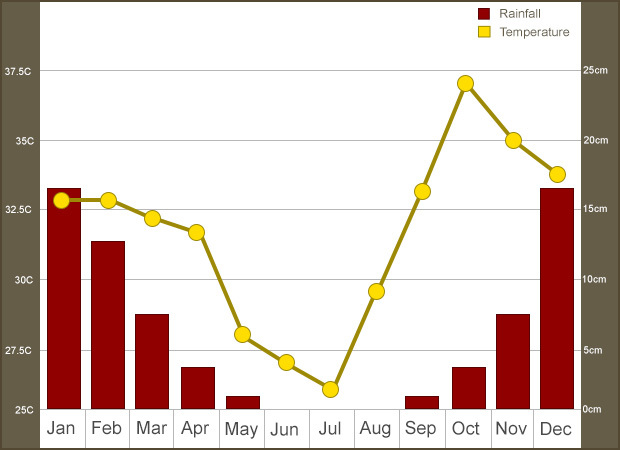 The drier months are from mid-May (or beginning of June) to end of October (or beginning of November). The other months can be rainy. For game watching it is better to visit during the dry months as animals are most likely to be seen at waterholes and at the rivers. Bird lovers will enjoy the rainy season and those who want to avoid the crowds of tourist, should visit between November and April. Botswana shares borders with Namibia, Zimbabwe and Zambia and offers visitors easy access to these neighbouring countries. Travellers can therefore combine their Botswana holiday with a trip to the Caprivi in Namibia or the Victoria Falls in Zimbabwe and Zambia.